Euro NCAP is marking the 20th anniversary of the first of its front-offset crash tests by releasing a video of the most infamous victim of the 1997 tests. A Rover 100, which scored one star in the first tests, has been subjected to another test alongside a modern Honda Jazz to show how far car design has progressed. 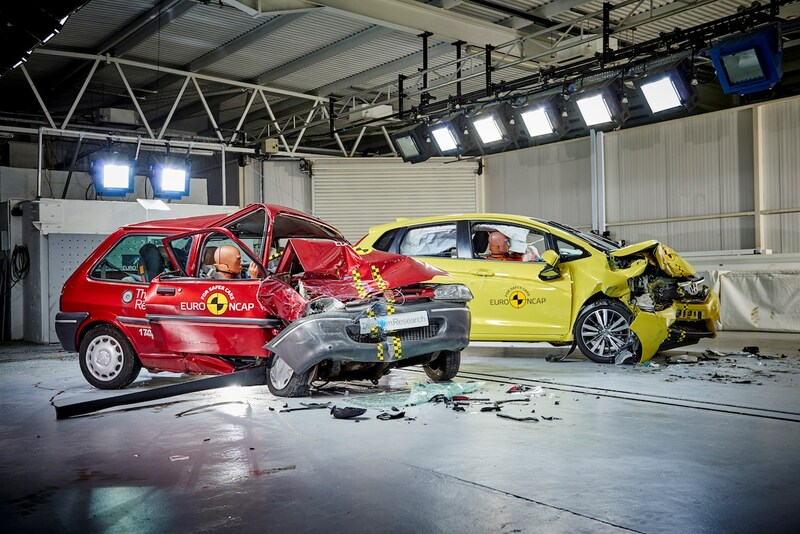 Thatcham Research, the organisation that helped devise the brutal crash test, says that more than 182,000 lives have been saved on UK roads since the tests were launched. The tests, introduced in February 1997 in the face of fierce motor industry opposition, exposed hidden dangers in top-selling family cars, forcing a fundamental rethink in the way vehicles were designed to prevent injuries and save lives. Twenty years on, 9 out of 10 cars sold on the European market hold a Euro NCAP rating. 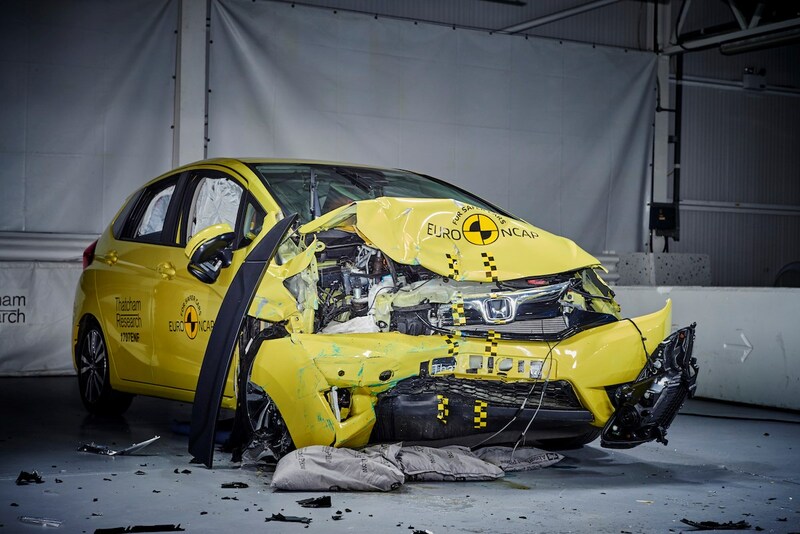 Thatcham Research says car buyers can further boost Britain’s road safety record by buying cars with a five-star Euro NCAP rating and collision avoidance technology. You can find all of this information in Parkers reviews. 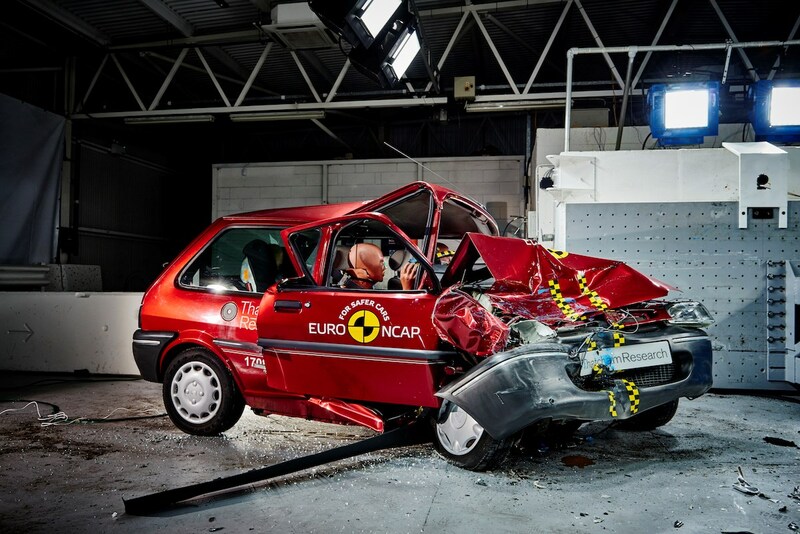 The first Euro NCAP crash test results were revealed on 4 February 1997. Until then car makers had to meet only basic legislative crash test requirements for new cars. And although the Rover 100's poor crash performance made national news at the time, it was not the only car to flunk the test. Back in 1997, carmakers attacked the tests, claiming they were so severe that it was ‘impossible’ to achieve four stars. Five months later, however, Volvo’s S40 became the first four-star car for occupant protection. Manufacturers now compete to out-perform rivals in Euro NCAP tests - and regularly use the ratings in their advertisements. A new testing regime will be introduced in 2018. These will include testing of Lane Assist systems to control steering if there are potential risks ahead; tests to reduce crashes at junctions; Pedestrian AEB that works at night time and new AEB cyclist detection tests to encourage manufacturers to further enhance these important technologies.